For the third year we are celebrating World #PhotoBookDay on October 14th. 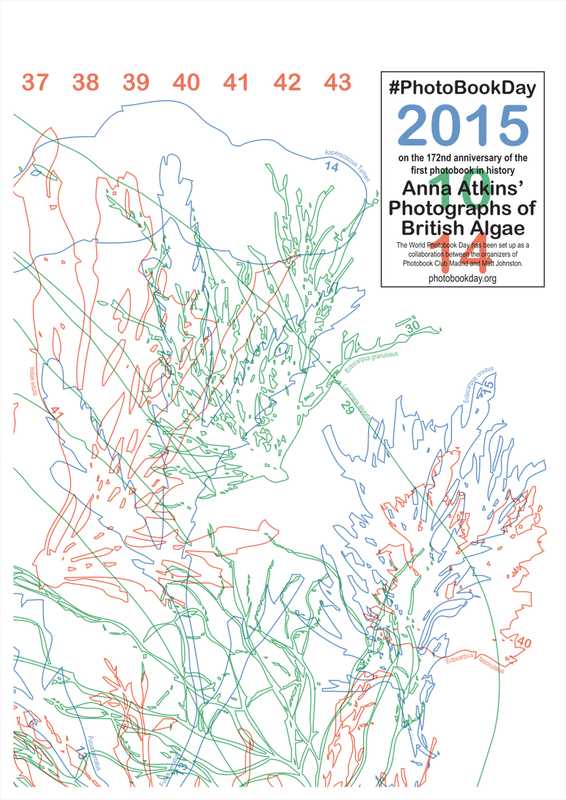 This date marks the anniversary of the purchase by the British Museum of the first known photobook: Photographs of British algae. Cyanotype impressions, by Anna Atkins. Now this first copy belongs in the British Library. We’d love everyone to celebrate it and join this global event by organizing an action related to photobooks in your own city. Please share your activities on social media using the hashtag #PhotoBookDay, it will be the best way for everyone in your local community to reach your activity. If you are in charge of a library, accept donations, but also consider to purchase and support self-pulished photobooks and photozines on this special day and mark your book record with a special note to PhotoBookDay. If you run a bookshop or a publishing house, announce your discounts or special goodies with #PhotoBookDay on your usual social media channels. And please, share with us your comments on how you spent the day with #PhotoBookDay. We hope we all have fun this day with photobooks. This is the poster we propose for World PhotoBook Day celebrations. Use it as you like. If you need it bigger or in your local language, please contact us through mail.